Allday Maid Cleaning Services based in Miami provide excellent house and office cleaning services thanks to ourteam of motivated, professional cleaners ready to do the cleaning right. Perfect for those looking for move-in or move-out cleaning, or regular household maintenance, we do a squeaky-clean job every time. Whether it's residential cleaning or commercial cleaning, weekly, bi-weekly or one-time, we are capable of handling your needs and provide the personal touch you appreciate. Professional Janitorial Cleaning Services Eco-Friendly - Allergy Free and Green Certified Products at reasonable prices. 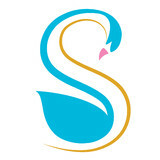 SWAN Janitorial Cleaning Services goal is to offer you the best value in Professional Cleaning in the market. WE WORK HARDER and we care about the work we do. 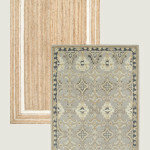 We pay great attention to details and your satisfaction is guaranteed. Weekly, Bi-weekly and Monthly Services, day time or night time. 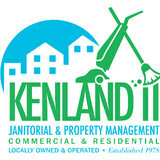 Kenland II Janitorial & Property Management was established in 1978 by Kenneth Durante and is still family-owned and locally operated. Services are for commercial and residential properties. Kenland offers cleaning, maid, janitorial, carpet cleaning, floor care, window washing and lawn care services, to name a few. Kenland also provides post-construction cleaning. Service areas include Boca Raton, Delray Beach, Boynton Beach, Gulf Stream, Highland Beach, Lake Worth, Manalapan and Town of Palm Beach. NG Solutions Cleaning is a family run business that specializes in residential and offices cleaning. Our team has over 10 years of cleaning experience. We are passionate about what we do, we are care about our service to you. 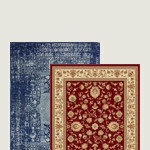 Our quality service is 100% guaranteed. We are not satisfied if you are not. Our mission is to provide you superior cleaning services that protects your family and preserves the planet at the same time. We use Hepa vacuums and microfiber dusting cloths. Maid for Today is a family owned and operated cleaning service. While the market is flooded with residential cleaning services, Maid For Today sets itself apart. Our reputation often precedes us, as we have been servicing South Florida for 31 years. Moreover, when applying for a position, Myrna, the owner of Maid For Today, does her due diligence in a comprehensive interview screening process. This ensures that a "good fit" has been made with our cleaning women, but more importantly, with our customers. The satisfaction of our customers is of highest importance and supersedes all else. Myrna, the owner of Maid For Today , takes a "Hands On" approach. She easily develops a rapport with all customers and can quickly ascertain their cleaning needs. Thus, she individualizes the needs of each customer. Throughout the years, Maid For Today has done "Move In" and "Move Out" cleaning for homeowners, renters, and various real estate properties. We are highly regarded in the community for providing reliable, thorough cleaning. Myrna makes every effort to return all calls promptly in a friendly professional manner. Don't hesitate to Contact Us. 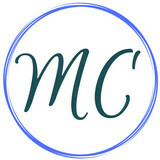 Magoos' Complete home care provides three specialized services House Cleaning, Home Repairs, and Personal Shopping. 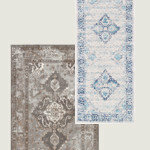 Clean with Class provides the finest cleaning solutions for your home and office. 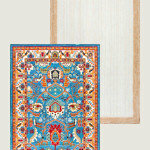 We have same day service as well as scheduled cleanings, weekly- bi-weekly, and seasonally. We work with Vacation Rental Management companies, Property owners and managers. Residential, Facility and Office cleaning available year round. Employer Solutions Services, Inc. is a full service staffing and recruiting firm with over 25 years of experience servicing locations across the country. Our goal is to become an extension of your human resource department. As a full service Employment Solutions firm, ESS is able to provide your business with staffing support and cost effective payroll services. Whether your needs are for staffing or back office administration, Employer Solutions is here to help streamline your operations. We are a company dedicated to the service of cleaning and integral maintenance, counting on a management with many of experience in this activity, whose main objective is the satisfaction of the client. For this we count with personnel trained in diverse areas, responsible and of great confidence in order to guarantee the tranquility in each one of our clients. To consolidate ourserlves as the main cleaning and maintenance company, developing effective techniques and processes in the training of the staff, as well as innovating technology in our work tools that allow us to offer our clients optimal levels of quality and professionalism of our services. 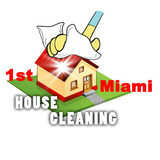 High Quality Cleaning Services LLC is a house cleaner / cleaning service serving the Boca Raton, FL area. Services include Cleaning, House Cleaning, Maid Service, Office Cleaning, Commercial Cleaning, Deep Cleaning, Construction Cleaning, Move In & Move Out, Floor Cleaning, Tile Cleaning, Furniture Cleaning, Kitchen Cleaning, Green Cleaning and Power Washing. Besides providing best in class cleaning, at Maid For That… 1. Customers can create their own affordable customized cleaning online, with our easy to use booking system. 2. Customers can instantly schedule, book, and pay for services online without the hassle of requesting an estimate, or quote. 3. Online customers earn rewards points through our Diamonds Reward Program (points are earned with each service booked). 4. Customers enjoy added benefits with our discounts for “Seniors”, “Advance Pay”, “Frequency of Service”, “First Time Customers”, “Referral bonuses”, and MUCH MORE! What should I expect from a house cleaner in Pembroke Pines, FL? Most professional Pembroke Pines house cleaning services will do the same tasks for a basic residential cleaning job: clearing dust and cobwebs from all surfaces and fixtures; wiping all surfaces, including sinks, tubs, counters mirrors; cleaning tile; vacuuming and mopping. You may want to have different rooms detailed at different times, so ask about doing a rotating schedule if you want them to pay extra attention to each space (like kitchens and bathrooms) every other cleaning. Some house cleaning companies in Pembroke Pines, FL will also offer additional services such as window washing or appliance cleaning, so ask about incorporating them into your deal or doing them as a one time thing if you’re interested. Pick up any clutter (laundry, toys and other gadgets) and put pets in a secure spot so they feel safe and don’t get in the way of the Pembroke Pines house cleaning company. Put out any specific cleaning products or tools you want used, and make sure to lock up any valuables that you don’t want disturbed. Most housekeeping services in Pembroke Pines, FL will enter with a spare key or garage code, but if that isn’t something you’re comfortable with then you should arrange for them to come when you are home to let them in. Typically Pembroke Pines house cleaners expect payment at the time of cleaning, so ensure you have the appropriate form of payment (cash, check or credit card) on hand, plus a little extra for tip if that’s your style and they do a great job. Find Pembroke Pines house cleaning services on Houzz. Narrow your search in the Professionals section of the website to house cleaners in Pembroke Pines, FL and contact local companies to ask questions and get quotes.